Look & Feel Younger, Sexier, More Attractive... Transform your smile from dull to dazzling in just two visits! Cosmetic Dentistry has different procedures to help a variety of smile problems from teeth whitening, crowns, and dental bridges to white fillings, dental implants, and porcelain veneers. Visit our Smile Gallery page. Invisalign is the best way to transform your smile without interfering with your day-to-day life. Your Invisalign treatment will consist of a series of aligners that you switch out about every two weeks. Each aligner is individually manufactured with exact calculations to gradually shift your teeth into place. 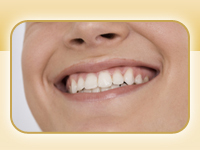 Dr. Shah has been providing the finest dental care in an utmost professional manner for over 10 years. 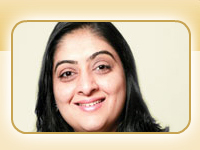 Dr. Shah is a Prosthodontist- a specialist in full mouth reconstruction, implant and cosmetic dentistry. Dr. Shah is specialized in complex dentistry, achieving consistently excellent results in those patients with out-of-the-ordinary dental needs.